When first diagnosed with Sjogren’s Syndrome in 2002, I sought out information and support on-line, quickly discovering a list-serve e-mail message group of patients. The group, including a couple physicians who had the illness and a very well-informed dental hygienist, were a wealth of knowledge. More recently I have joined a couple Facebook groups for the same reasons – information sharing and support. Back in the early 2000s there was a recurring wish among the people involved in the Sjogren’s e-mail message group. Though no one would wish Sjogren’s upon anyone, there was a hope that eventually a celebrity would be diagnosed with it. Someone who was a “household name” who would come forward publicly, speak about the illness to mass media, hence creating public awareness in a way no one else, including the Sjogren’s Syndrome Foundation, could possibly hope to do. One only need think of Michael J. Fox’s impact on Parkinson’s disease awareness to understand why so many patients had this wish. Well, it did come true. But in a certain sense it was almost a case of “be careful what you wish for”. In 2011, Venus Williams pulled out of a major international tennis tournament, shortly after that she went public with her diagnosis of Sjogren’s. Like most patients, she described asking the doctor about her initial symptom – fatigue – numerous times only to continue to be undiagnosed for a few years until she had multiple symptoms that made it clear what she was suffering from. This month a Dr. affiliated with the Sjogren’s foundation in the USA was interviewed on a TV news program; he mentioned Venus has a “mild case” of Sjogren’s. Being an international Olympic calibre athlete, I believe no one will be privy to Venus’s specific symptoms or treatment (no standardized treatment protocol currently exists) until after she retires. Fortunately for her, she has been able to return to elite competition albeit by reducing her schedule of tournament play. Awareness of the name Sjogren’s Syndrome was created, but obviously what also came with Venus’ disclosure of her diagnosis was more misunderstanding of how severe the illness could be. The irony of physicians making comment of Sjogren’s not being “that bad” because of Venus, is they are often the very same ones who tell us the reason we have the symptoms we do is because we are out of shape and need to exercise more. Argh! There is no one who was / is in better shape than Venus Williams, yet she still struggled with fatigue, and pain. She did not have the symptoms because she was “de-conditioned”; she had them because of the illness. More recently, Carrie Ann Inaba, a judge on “Dancing With the Stars”, revealed she too has Sjogren’s. Like Venus, and a huge majority of Sjogren’s sufferers she too went to her Dr. with initial complaints of what she described as “incredible and random fatigue”. Carrie is on a common treatment for the disease called “Plaquenil” which is actually an old anti-malarial drug that was accidently discovered to help with certain auto-immune diseases including Sjogren’s and Lupus. Carrie Ann has become the Sjogren’s Syndrome Foundation Awareness Ambassador and Spokesperson. I’m glad Venus and Carrie Ann came forward to create awareness, though there are people who will always judge their friends, family, or patients who have Sjogren’s based on what they know of the celebrities. Just like Lupus is considered the disease of a “thousand faces” because every patient can have such a unique constellation of symptoms and disease progression, so too does Sjogren’s. One must also remember the resources the celebrities may have to help them cope with Sjogren’s are probably not those of the “average” patient. As one friend originally from Europe said to me: “I bet Venus has the best doctors in the world, probably in Switzerland.” Guaranteed she has the best medical team, wherever they might be located. Last week, I did actually have a dry mouth incident that left both Mr. Wanton and I in hysterical laughter. (If you are my mother, you should stop reading right here.) I had been to the dentist and on Friday afternoon (several hours after dental office had closed for the weekend) I put my night mouth guard on just because I was thinking about wearing it again (I hadn’t for quite awhile). Anyway, I popped it on my upper teeth. It was a bit snug but still comfortable enough. Then, I went to remove it but it wouldn’t budge. I recalled it always being a bit difficult, so I didn’t panic. Working at the edge again with my finger, I realized how dry my mouth was. I kept pulling at it, trying different locations along my upper gum line and teeth. My mouth and teeth were dry, so I started to panic a little thinking there was no lubrication between the teeth and the guard to help slide it off. So, Mr. Wanton said, “Fine then” and wandered off shaking his head. I went into our bedroom, sat on the bed and pried at that thing until finally I felt a glimmer of hope as over a gold crown covered tooth it finally budged enough for me to get a bit of leverage on it. Then with one desperate yank, it came off completely. Perhaps it was smoother there, or not quite as close a fit in that spot. Whew. I threw the mouth guard in the garbage. 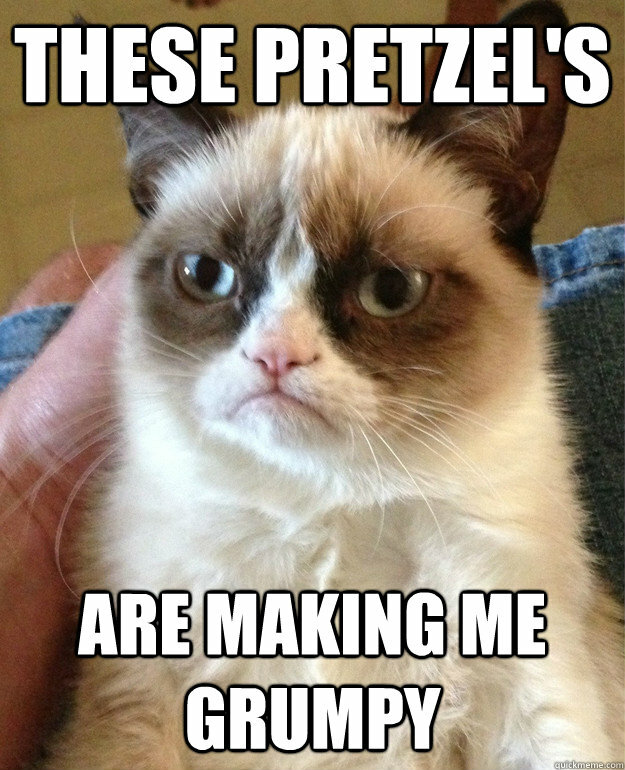 The very next day, I took a bite of a pretzel chip, a new product I bought to try, biting it in two. The piece I bit off went to the roof of my mouth and got stuck on my palette, literally lodged there instantly. Like the previous day, I walked over to Mr. Wanton and said: “Would you believe I just got half a pretzel chip stuck on the roof of my mouth?” He started laughing, again. No matter how hard I pushed on it with my tongue it wouldn’t move. I tried water, nothing happened. He said: “Just pull it off!” I said: “Can’t you see I’m trying!” Finally after several attempts I managed to stick my finger on it, getting under an edge and dislodging it. 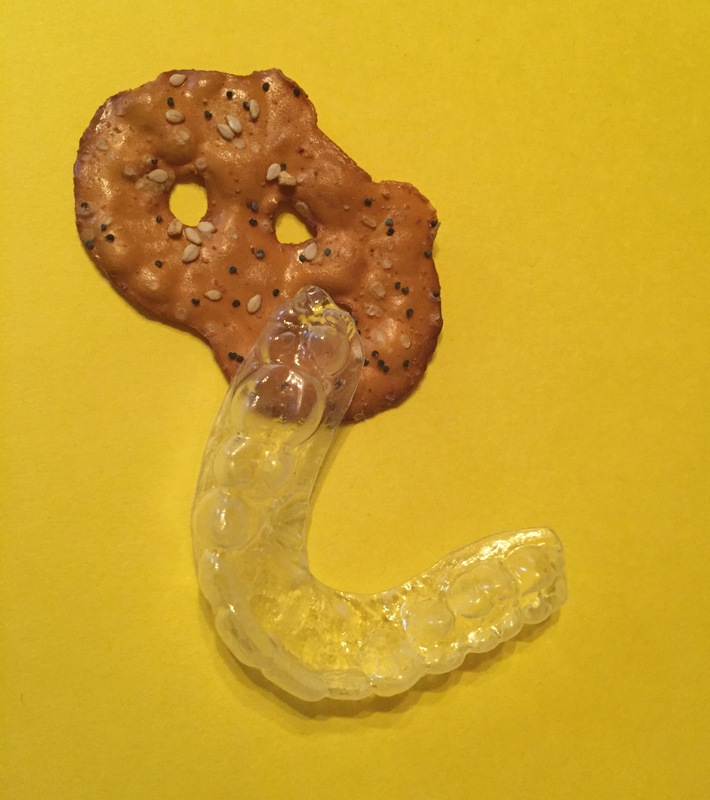 I am now sworn off pretzels and mouth guards…for life. Last year during Sjogren’s Awareness Month I posted about dry mouth symptoms. People suffer from dry mouth for a multitude of reasons. For those of us with Sjogren’s, dry mouth occurs because our own immune system attacks the moisture producing glands throughout our body, including the salivary glands. We need saliva as it has antifungal and antibacterial properties, in addition to buffering capabilities to neutralize the acid in the mouth which causes cavities. Saliva is the moisture that is in our mouth. Some refer to it as “spit”. I won’t perpetuate any stereotypes by naming who those people might be. 😉 (Okay, changed my mind about that, when I needed a title for this blog post!) Anyway spit, or saliva, helps protect both our teeth and mouth. In addition it is the important first step in digestion as it begins the process of helping us break down food and sends it down our esophagus to our stomach. Okay, so that’s my basic biology class, human anatomy digestion 101 lesson for today. In earlier posts I mentioned waking in the morning to painful tight muscles, stiff achy joints, and eyelids glued to corneas causing discomfort or even pain; well you can add dry mouth to my list of first symptoms of the day. If you’ve never experienced severe dry mouth, you might think it is just a matter of being thirsty and the solution – having a long sip of water – doing the trick. It is much more complicated. When I wake up in the morning my tongue is usually stuck to the roof of my mouth, my cheeks stuck to the sides of my teeth, and my throat often feels as though it is closing. My mouth feels parched. I am also thirsty upon waking, so I do drink water first thing when I get up to “unglue” my cheeks, tongue and throat as well as quench my thirst. Sometimes when I wake up I discover I have developed painful mouth sores or ulcers. These are not a symptom of Sjogren’s according to my current Rheumatologist, but of Undifferentiated Connective Tissue Disease which I also was diagnosed with. Usually they occur on inside of lower lip, side of cheek, or on very back side of palette / roof of mouth. Typically they last a few days, although some are more persistent. Actually my Rheumatologist is incorrect, they are often yet another symptom of Sjogren’s . As if we don’t already have enough pain and need more in an already uncomfortable dry mouth. There are numerous dry mouth products available, none of which I have been too enthused about. Every mouth is different and each patient needs to try out the myriad of products to see which suits them best. There are prescription medications to stimulate salivary flow; however I am not prepared to risk the side effects of them, preferring to take my chances with meticulous dental hygiene and sipping water throughout the day. One thing I found to stimulate some salivary flow is massage. There are people who go specifically for massage and / or acupuncture to increase flow of saliva however you must go to someone with intensive training in the technique; unfortunately those people are few and far between. However, I have found during a regular massage, as the therapist works with lymphatic drainage technique and upward strokes of the hands up my neck and jaw I often experience what I can best describe as two miniature water fountains turning on at the back of my mouth near the jaw line. After being so dry, the feeling of sudden spurting of water in the back of one’s mouth, albeit for seconds, is wonderful. Beyond being uncomfortable, the risks of having an extremely dry mouth include high risk of tooth decay resulting in loss of teeth and necessity of implants or dentures. The protective qualities of saliva being absent is one reason for this, another is that without saliva food adheres to the teeth easily. Imagine eating one small cracker and trying to swallow it. Instead of it disintegrating in your mouth, and you swallowing the entire piece you instead end up with more than half the cracker stuck onto your teeth. 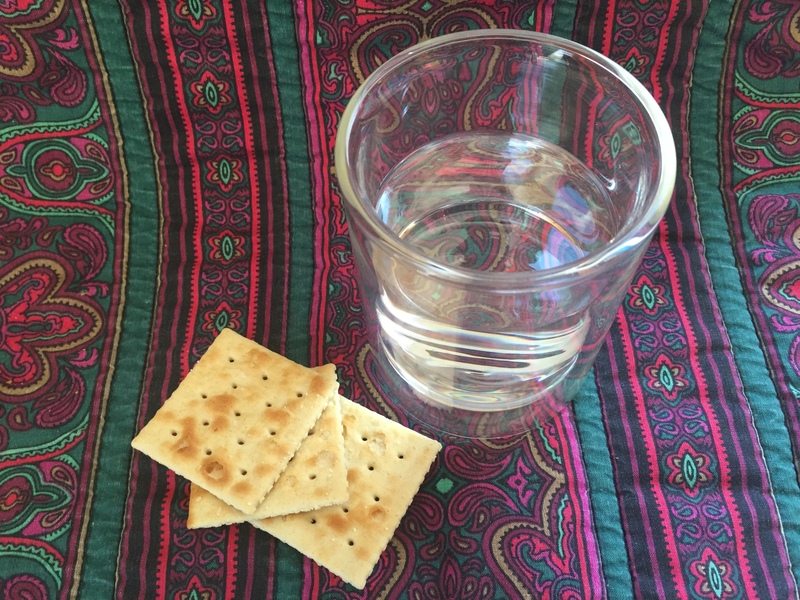 Well, first of all with Sjogren’s you usually cannot swallow any of the cracker without water, but even after you drink the water, the rest of the cracker stays stuck on your teeth. Sometimes, even when brushing with an electric toothbrush, the food stays stuck so it takes multiple brushings to get it entirely removed. I have worn out more than a few electric toothbrushes. Another more frightening risk of living with next to no saliva is choking on food particles. When I eat (as you can imagine as I described the food debris left behind on teeth) I don’t have saliva in my mouth to help wash food down my esophagus, so often a tiny particle of something (especially lettuce or tiny carrot particle for example) adheres to the tissue on the very back of my mouth or even in my throat. Often it is so tiny I don’t even feel it until it suddenly dislodges and I start to choke on it as it is going where it shouldn’t be “down the wrong way”, or goes part way down my esophagus then gets stuck again farther down. In Sjogren’s lack of moisture is often an issue throughout the entire body including the esophagus. The coughing episodes that follow as my body rids itself of the particle of food is not fun for me, nor has my family become used to it no matter how many times it happens. 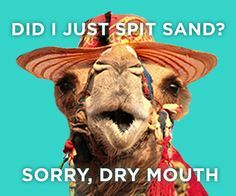 Coming next post: a lighter look at dry mouth – because sometimes you just have to laugh at yourself. Best advice ever from a Rheumatologist – you don’t even need a disease to benefit! I will be ever grateful to the Rheumatologist who first diagnosed me with Sjogren’s in 2002. He finally put a name to the symptoms I’d been suffering from for at least a decade, and validated my concerns. However, I did not realize at the time, he was not very knowledgeable about the potential severity of Sjogren’s, or its treatment. In fact, he told me nothing of potential organ involvement, increased lymphoma risk, and other more serious consequences that could occur in years to come. Upon diagnosis he explained I would require vigilant use of sunscreen and to stay out of the sun as much as possible (due to presence of the SS-A antibodies in my blood causing extreme sun-sensitivity), use over-the counter eye drops for my eyes and dry mouth products for my parched mouth if required. That was all. He did not address the fatigue, or the muscle and joint pain whatsoever. I told him I had been keeping up with light exercise – a bit of walking, “Curves” gym workouts, and day-to-day housekeeping activities even though they wore me out. I asked if there was something, anything, he could give me to help with the pain, especially muscle pain which was more prevalent at that time, than joint pain. After all, it was those complaints along with the unrelenting fatigue, which brought me to the doctor over and over, not my mouth, eyes, or skin. I did not expect to hear what he said next: “Actually, I have some patients who have told me that yoga has helped their pain more than anything else.” All I said was “okay”, thinking we had no yoga classes in the small community where I lived, at that time. I could do it on my own, but I thought I would just continue with Curves, and get regular massages which were soothing but had short-lasting results. So that is what I did, continued on with what I had been doing. 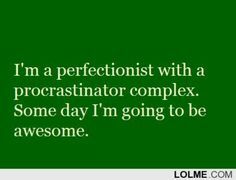 Eventually, after a few years I had trouble washing floors, scrubbing bathrooms, etc. without ending up stiff and in pain, leading me to regular physiotherapy visits. We hired a weekly housekeeper, which was cheaper than physiotherapy so I did not feel guilty but I still found my body getting very sore. Soon I was back to physio even though I was no longer doing household chores. One day when going to the bank, I saw a new sign in the window of the same building: “Yoga for You”. The words of the Rheumatologist seven years earlier were suddenly back in my mind. By this time, yoga (thanks to Lululemon yoga pants! ha ) had gained mainstream popularity even outside of cities. Still, after spotting the sign I continued to walk and drive past it for about a year, thinking I could never do yoga with my tight sore muscles. Finally one day, I decided to go in to get information about the classes, to just give it a whirl. I don’t recall what was in my mind in that moment, why I decided to try. Perhaps I was in so much pain I was desperate, or maybe it was a relatively “feel good” day and I was optimistic I could do yoga after all. Either would be plausible. The owner / instructor / yoga therapist – Tracy, was welcoming. She recommended “Gentle Restorative Yoga” as being best for me. It was time to test out the Rheumatologist’s advice. I’d like to say I went to my first class and found it pleasurable, but I did not. The session started out easy enough – on the mat, but then we sat along the wall. Tracy said we could sit with our legs in any position. I saw some people sitting cross-legged so I did the same as we began to stretch our neck, with our head and back supported against the wall. Within 15 seconds of sitting cross-legged my hips were screaming. Tracy had said to “listen to your body” at the outset. My hips were definitely hollering “get out of this position”, so I stretched out my legs. Relief. When my body was not launching a protest during the first class, my mind was racing with thoughts. I had true “monkey mind”, as yogis call it. There were however enough positions, including Child’s Pose, Heart-Opening, and others in which my body was supported enough by a bolster, blocks etc. so I could actually relax and release into the pose. Again, I felt relief. Though my first class was not as gentle on my body as I hoped, ever the optimist, I decided I would sign up for one session of several weeks to see how my body would respond. That one session of one hour per week, has now turned into two, hour and half classes, per week. I have been attending classes regularly for over six years now. Additionally at home, every morning before I even get out of bed, I do 20-60 minutes of gentle restorative yoga poses to alleviate some of my morning joint stiffness, and muscles aches. Though I enjoy doing the poses at home, the yoga studio is where my body and mind respond best. It has become a sanctuary for me. Just entering the studio I sigh to let go of the rest of my day, breathe deeper, and relax. Instead of 15 seconds sitting cross-legged, on a good day, I can now do 15 minutes. Some days my “monkey mind” is busy for more than half a class, but sometimes I can let the thoughts come and go easily until they disappear completely, allowing me to focus only on my breath. My breathing is deeper, slower, and from my “belly”. An echocardiogram tech recently said during my echo, “wow, you are a good breather”; I knew why and couldn’t suppress a grin. 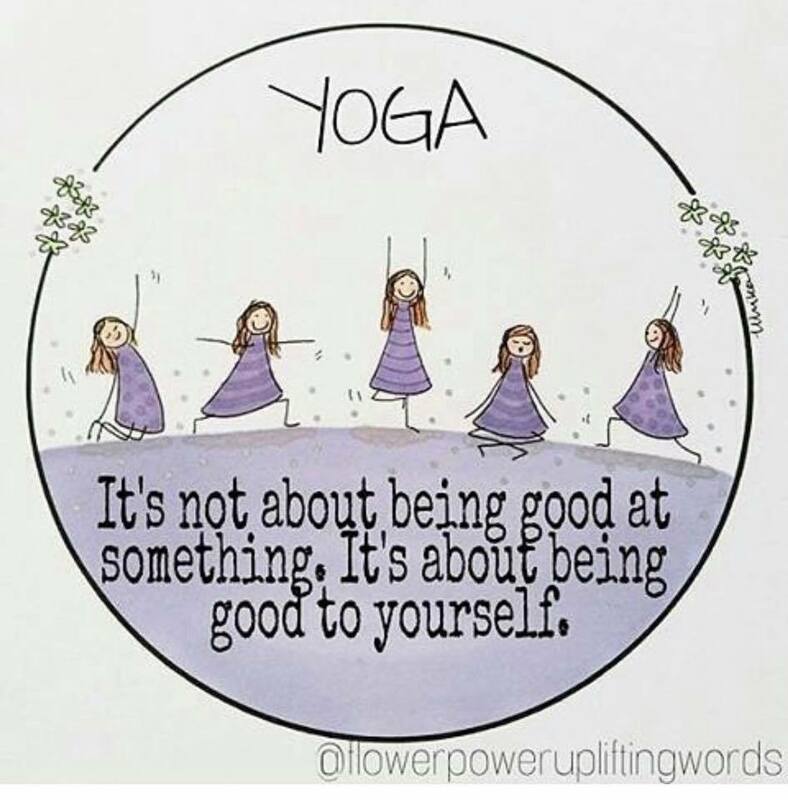 The Rheumatologist’s advice (well actually it was his patients’ advice – love and light to you all) was right – yoga is helping me with my Sjogren’s symptoms more than anything else. Though I still have pain, it is so much less if I keep up with my yoga practice (when Tracy takes vacation break I do feel the difference). And on the days the soreness is less tolerable, yoga has also given me the mental coping skills to let go, and just focus on breathing from my “belly” to relax. Yoga has been life-changing for me. I cannot imagine my life without it. Note: As with searching for a doctor who is a good match for your needs, so it is the same with finding a yoga class with “goodness of fit”. Don’t go to what I call regular, basic class – “pretzel yoga” – if you need props and gentle poses at least to start off with. If you think yoga may be helpful for you, do not be discouraged if the first instructor, class, or studio environment is not meeting your needs – try another and another. Listen to your body, it will tell you when you have found the right one. If sleeping becomes an Olympic event, I’m going to win! 80% of Sjogren’s patients have persistent fatigue as a symptom, according to a recent Sjogren’s Syndrome Foundation study (2016), making it the third most prevalent symptom after dry eyes and dry mouth. 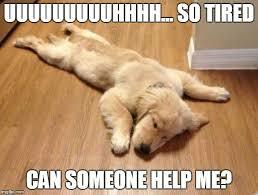 It is such a common complaint, fatigue is now considered a “hallmark symptom” of the disease. As I mentioned in my last post, it was indeed the first symptom I noticed, the one that lead to my repeated visits to the doctor as I sought to discover what was going on with my body. In hindsight, I had dry eyes and dry mouth at that time as well, but the progression was so slow I did not notice. Overwhelming fatigue and soreness throughout my body were much more difficult to live with, and ignore. After a day of “dragging my carcass around”, as both Mr. Wanton and I like to refer to it, nothing brings me more pleasure than crawling into my bed. Admittedly, I am a creature of comfort come the end of the day. And I have a definite routine for how I get my tired and sore body comfortable at bedtime. Before I use bathroom for the last time, and put my “eye goop” in, I heat a couple of “magic bags” in the microwave, then I crawl in to my bed which has the softest finest thread count flannelette sheets on top of a quilted faux down mattress cover. I just noticed I called it “my bed”; I do so frequently without intention, regardless of the fact I share it with Mr. Wanton because I guess it is just that important to me. 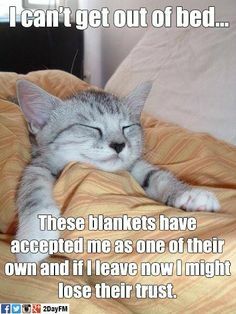 So, I climb into the king size bed, and roll on my right side (I have a phobia of going to sleep on my left side and feeling my heartbeat, since having some severe atrial fibrillation episodes at bedtime), putting a body pillow between my knees and against my torso, then I put the heated bags on across my low back + hip area. Then I put my head on my pillow which is the most incredibly soft pillow I could find, took years to get the right one but it was so worth it. I might love that pillow more than Mr. Wanton. A few months ago at book club we read a dystopian novel. At one point during the discussion, the facilitator asked us: “if you had time to take only one item from your home, what would it be?” Without hesitation, I answered “my pillow”. Everyone looked at me, disbelieving, speechless. All I said was “I love my pillow”. That was my answer because I know if I could have my all-time favourite pillow and get sleep, perhaps I could survive the apocalypse. I’m surviving Sjogren’s, so why the hell not aim even higher? For the most part if I have a “regular day”, meaning no extra or out of the ordinary activities, I can fall asleep relatively easily, the aches and pains of the day relieved by heat on my back and hips, the softness of my bed, comfortable bedding, and exhaustion leading to quick sleep for eight –nine hours without waking for more than seconds at a time to shift positions or add eye drops because I feel my cornea getting stuck to my eyelid, then boom, back to sleep immediately. 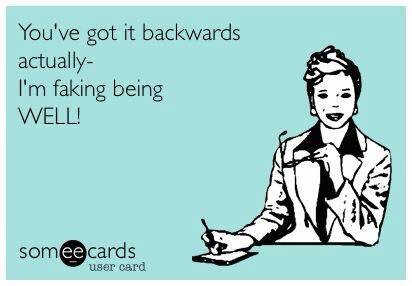 I would like to report feeling refreshed and pain free when getting my full night’s sleep, but it would be a lie. I never feel rested no matter how long I sleep, or how soundly. Never. I begin every single day feeling tired, and sore. 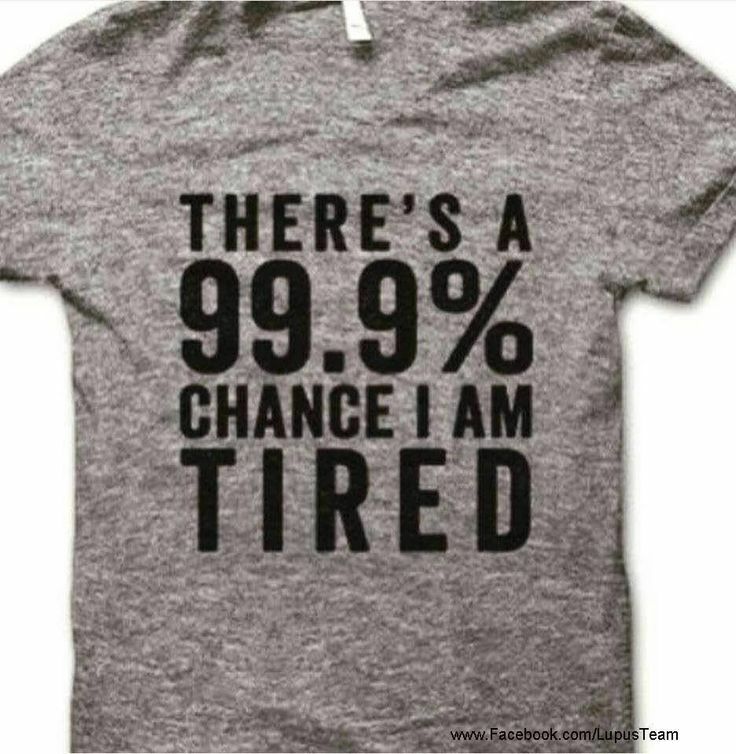 I am one of the fortunate patients who is able to sleep. Many, many Sjogren’s patients report difficulty with falling and staying asleep for various reasons such as joint pain, dry mouth, headaches, restless leg syndrome, neuropathic pain, etc. If I have a day with even one slightly non-routine activity that has added more soreness to my joints and muscles, I can have difficulty, and be awake for hours trying to get comfortable enough to ignore the pain and fall asleep. Sometimes, that involves using topical pain relief products or OTC pain meds (though because I also have autoimmune hepatitis I try to avoid them). Mr. Wanton claims I “run around all day”, until I am “ready to drop”, then “jump into bed”. 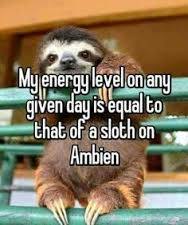 What he actually means is I move at a snail’s pace, followed by some sloth like hours prior to bedtime, then yes, I do drop into bed. His perception of me moving all day is not because of me running anywhere, but because I find being in ANY one position for any amount of time uncomfortable. I get stiff and sore. His scientific test for my amount of movement being abnormal is that I cannot sit still without moving, and if a TV program is more than half an hour I need to get up and move around, or do something to distract myself from the pain. Often I have been asked if I nap during the day. The answer is no. I have attempted the art of napping, but never mastered it. I think my difficulty is falling into deep sleep rapidly, so upon waking from a daytime nap I am groggy to the point of feeling unwell. A friend in California told me her naturopathic doctor says if you are unable to sleep during the day, a period of even twenty minutes rest in a horizontal position is restorative for the adrenal glands. I have not researched to discover the truth of this information, but certainly rest periods are healthy and essential for me, and all other Sjogren’s patients I know. 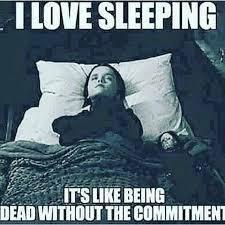 Sleep may be what I love doing more than any other activity. I realize life is short, and hate to think I’m sleeping so much of mine away, but my body and mind crave it. Sleep is my escape from the fatigue and pain that plagues my every waking moment. Coming soon: The best advice a Rheumatologist ever gave me; plus how do fatigue, joint pain, and muscle soreness limit my daily activities; how I cope with sunny outdoor activities; how my life has changed; and more. P.S. I originally intended to blog daily for Sjogren’s Awareness Month but yesterday I was too tired, and too sore – my fingers especially were not happy, so I took a day off. Endless, unrelenting fatigue and sore muscles were the symptoms that first had me seeking help from the doctor, followed by joint pain not long after. I began discussing these complaints with my family doctor in the early 1990s. At the time I had three young children at home; I worked full-time, and was a volunteer involved with my children’s extra-curricular activities. Although these symptoms started mildly, they became a source of concern as they continued to escalate in severity despite my healthy lifestyle. I did not drink or smoke, slept really well for eight hours per night, ate nutritious meals, and got regular exercise. Still I did not feel well. My doctor told me I was a busy mom, and hence my fatigue and soreness. He did a few blood tests to ensure my iron levels, B12, and the basics were all okay, all came back normal. He said I did not have Fibromyalgia, nor did I have chronic fatigue. I believed him, but I also knew I was tired and sore all the time. Something was not right. In desperation to get relief I went to physiotherapy. I told the therapist about my soreness and fatigue and asked if she could possibly provide treatments that might be helpful. After listening carefully, she asked numerous questions, finally ending with, “Have you ever been tested for Lupus?” I explained I had requested testing for autoimmune connective tissue diseases but the doctor assured me I did not have Lupus, or Rheumatoid Arthritis, which by this time was my biggest fear. She told me to go back and ask again. I did, and he again refused. He assured me he believed I had the symptoms, he did not think I was imagining them (so he told me to my face but I wonder if perhaps behind my back he did think I was), however the symptoms were of no concern. Maybe to him they were not, but they sure were to me. Finally he sent me to an internal medicine specialist, I found out in hindsight he wrote a letter to my family physician saying I was just depressed. By this time, he was right, I was becoming depressed because I knew there was something wrong yet he was making me feel like I didn’t know my own body and what was normal for me to feel. So, because of what the physiotherapist had said, I sought out a different doctor at a clinic I had never been to. He listened, and then said he’d like to run numerous blood tests before we discussed the possibilities further. A couple lab tests came back positive; he set up a referral for me with a Rheumatologist immediately. Two weeks later, he called me and said he needed to see me at his office again, three hours away in the closest city to where I live. This time he did a very thorough examination, starting oddly, I thought at the time, with my mouth. After the physical exam, he told me I had Sjogren’s Syndrome. Both the SS-A and SS-B antibodies were found in my blood along with positive ANA and RF. I definitely had Sjogren’s Syndrome. He explained it was nothing to worry about. I was thrilled. I really did have something wrong with me; I had not been imagining it. He explained Sjogren’s was nothing I really needed to be too concerned about, except staying out of the sun as the SS-A antibodies were linked to sun-sensitivity that could trigger further disease activity. I heeded his advice, was fastidious with the use of sunblock and avoided the sun during peak hours. Recently the Sjogren’s syndrome Foundation has acknowledged not just dry eye and mouth as “hallmark symptoms”, but fatigue and joint pain as well. May I join numerous other Sjogren’s patients in saying: FINALLY! In upcoming posts I will explain how the fatigue and joint / muscle pain has affected my life, as well as the best advice a Rheumatologist ever gave me. 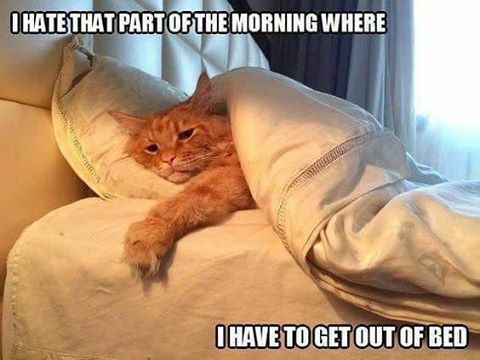 Writing a 500 word blog post each day is perhaps a bit much for me…more on Sjogren’s fatigue another day when I am not so – you guessed it – tired. So, in between longer posts I will answer questions, or post a mini-blog. Does it come on with age? I am not sure if the person meant Sjogren’s in general or the dry eye issue specifically. Overwhelmingly Sjogren’s affects women, less than 10% of those afflicted are male. And 2/3rds of Sjogren’s patients are over the age of 60 at diagnosis. It used to take over ten years for diagnosis on average (that has been brought to below five years now), so average age at diagnosis may not tell the entire story, if it took someone more than ten years to get the diagnosis. Though the majority of patients are older women, Sjogren’s can affect anyone of any age, including young children. I believe I had Sjogren’s already as a teenager, yet I was not diagnosed until the age of forty. As far as the eyes specifically, each patient is unique in their constellation of symptoms and the onset of each, but typically dry eye is extremely common. In fact, in a recent study in the USA 92% of Sjogren’s patients had dry eye as a symptom, the highest incidence of any of the symptoms – tied with dry mouth. It is considered one of what they refer to as “hallmark symptoms” of Sjogren’s, because it is the most common. Are the eye drops, gels, ointments, etc covered by your health plan? We have two different health plans (which we pay for ourselves since my husband is self-employed) and neither cover any of my eye drops or ointment, not even those prescribed by optometrist / ophthalmologist. The lack of coverage for the over-the-counter products used by Sjogren’s patients is a major complaint. It is similar to diabetics having to pay for blood glucose testing strips; they are “essential” yet not covered by health insurance (at least not in my locale). Does it affect daily vision? Yes, it can and it does simply by reason of a dry eye being an irritated eye. If you have ever had light dust blow in your eye while outside, that is similar to the feeling of a very dry eye, hence the importance of eye drops, gels, ointments, etc. Some patients even wear special goggles at night, or in the house during daytime, in an attempt to preserve any moisture in their eyes. If you prep your eyes for the night before you go to sleep, what happens if you wake up to use bathroom or you need to get up during night? I just do same routine as in morning – gentle rub of lid to protect cornea- go to bathroom – put more drops / ointment in after. I know my way to bathroom in bedroom well enough in dark, and fortunately I don’t often wake up to use bathroom after I am asleep. When my eyes are “gooped up” I can still sort of see, somewhat like through fogged up ski goggles. My vision is very blurry, but I’m able to make it to bathroom as I have no “hazards” on route. And the goop doesn’t last entire night, which sounds like a good thing but actually it is not because sometimes my eyes get so dry during the night I actually wake up because I can feel the lid sticking to cornea, pulling on it. Sjogren’s: Nuisance or Big Deal? I have been thinking a lot about whether to write about Sjogren’s this month, wondering if perhaps the people who know me already knew enough about Sjogren’s. If people were wanting to know more they could just Google and get plenty of information that way, especially if searching for the Sjogren’s Syndrome Foundation or Sjogren’s Canada. Another reason for my uncertainty was because I didn’t want my blog to become focused solely on Sjogren’s. I suspect some readers may be thinking I write about my own experiences with illness to garner attention or sympathy. Many people, including some health professionals, believe Sjogren’s is just “not that big of a deal”. 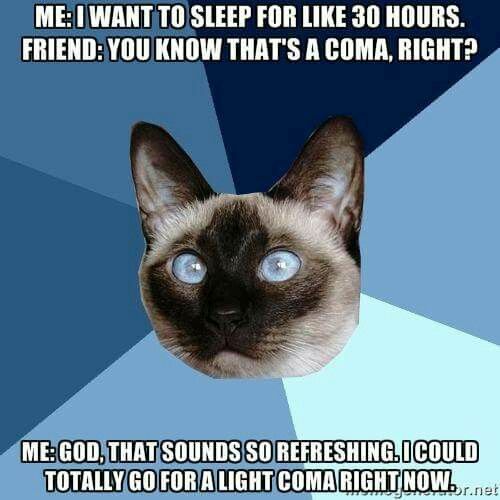 Often people tell me I could have a disease much worse than Sjogren’s. That is true. Are there worse diseases to have? Of course; ALS comes to mind first off, but there are many others. 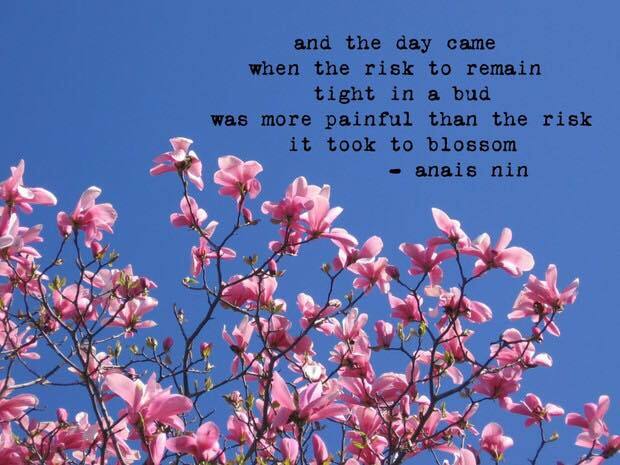 I currently have people I love being treated for metastasized cancer; others hospitalized with other autoimmune illnesses fighting courageous battles to regain some semblance of health. 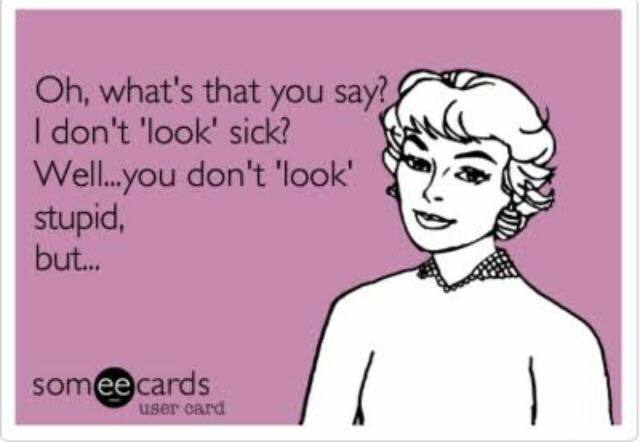 I understand the reality of more severe illness, but I also want people to be aware that Sjogren’s is not a simple, relatively benign disease, just a nuisance. Yesterday after blogging about one specific and minute part of my Sjogren’s journey, my eye care ritual, I realize I do need to continue to write about Sjogren’s. Not just the facts and “bones” of what it is as can be found on many medical websites, but the human experience of my journey. I can tell you from my brief time in a Sjogren’s on-line support group, though sharing the same disease and many of the same symptoms, every patient has a unique combination of symptoms and treatment. Thank you to those who read yesterday’s blog post and made comments, or asked questions on my Facebook page, you have shown me there is still more for me to tell about Sjogren’s. If you look in one of a very few books about Sjogren’s, or on-line, you can quickly discover what tests they can do when looking at your eyes, and some possible treatments. From the responses I received yesterday, I realized yes, a book can tell you Sjogren’s patients use eye-drops daily, but that doesn’t really tell you what that actually means day-to-day. Over the next month I hope to help you understand what it is like for me to live with this chronic, incurable, progressive disease. Excellent 3 minute TV News Interview with a Patient + Dr. I wish it was just an April Fool’s joke…. Waking this morning, my first thought before even opening my eyes was: what day is it today? Which was quickly followed by Saturday – April 1st – April Fool’s Day – also the first day of Sjogren’s Awareness Month. I was then awake enough to roll over and open my eyes. But before opening my eyes each morning, I first must, ever so gently, rub each of my closed eyelids with a finger. Massaging lightly over the entire surface of my closed eyelid allows it to delicately detach any part of the lid that might be stuck to my cornea due to night time dryness. To most, this would seem a ridiculous and unnecessary activity prior to getting out of bed, however it is crucial for me. After numerous painful rips and damage to my cornea due to dry eyes caused by Sjogren’s Syndrome, I finally remember never to just pop my eyes open upon waking. 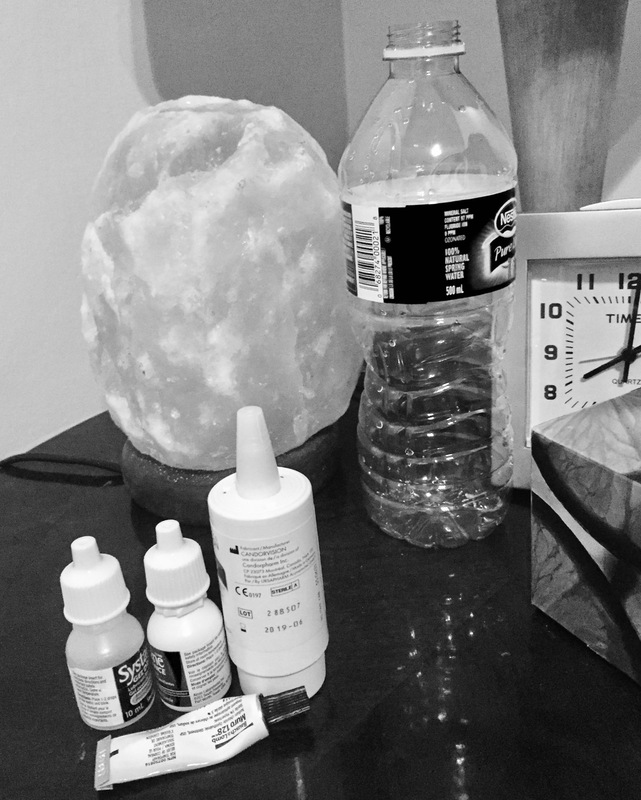 Immediately after getting my eyelids open, I reach over for the eye drops on the night table plopping a couple drops into each eye. I do this with a great deal of care as well, not because it is an intricate procedure but because eye drops are so damn expensive they might as well be liquid gold so I dare not waste a single drop with poor aim. After putting the drops in, my vision appears as though clouded due to light fog permeating the house. 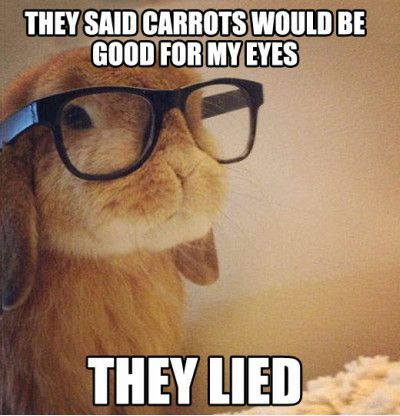 There is no fog, and my vision is fine, but the drops I use first thing in morning are to replace the lipid layer in my eye which several years ago the optometrist told me was nearly non-existent. The drops look like milk, and contain lipids which most simplistically are fats, vitamins, and other things that help preserve eye surface health. While I wait for the foggy white vision to dissipate, I sip on a bit of water to quench my dry mouth, and do gentle restorative yoga while still cozy in bed. Throughout the day I replenish and refresh my eyes a multitude of times with another type of drop which is even more expensive but is lighter and within a few blinks does not cloud my vision. Before going to bed at night I coat my eyes with an ointment prescribed by a specialist which I need to prevent cornea rips during sleep. After the ointment is in and has coated my eye surface, I add a couple drops in each eye of yet another type of eye drop this one a thick gel. I have become fastidious regarding my night rituals, since as you can imagine once my eyes are “gooped up” for the night, all other activities requiring vision must cease. So why, you may ask, am I telling you about what I do to my eyes? 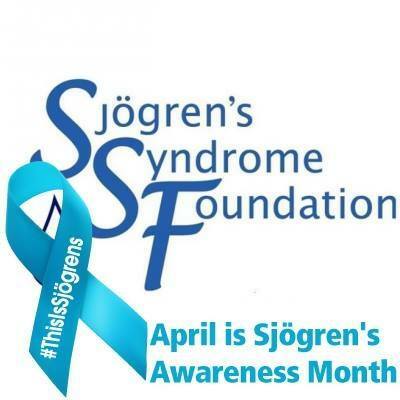 Well, my realization it was both April Fool’s Day and the start of Sjogren’s Awareness Month, also had me wondering what if Sjogren’s was all just a big joke (albeit a perverse, nasty mean one)? How wonderful to wake one morning, maybe even today, to discover it had all been a bad, bad dream. I knew that to be sheer fanciful thinking; I didn’t take the chance to pop my eyelids wide open, risking a tear. 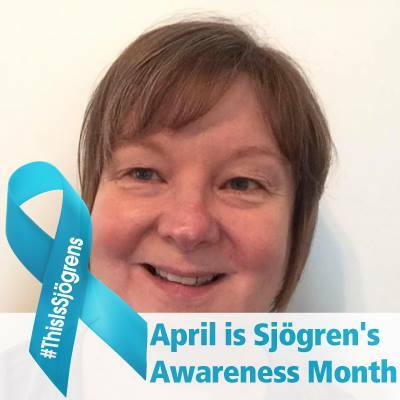 It did give me pause for thought though – how would my life be different if I didn’t have Sjogren’s? I can only imagine, but for this month instead of thinking of “what might have been”, I will share with you my “what is”. 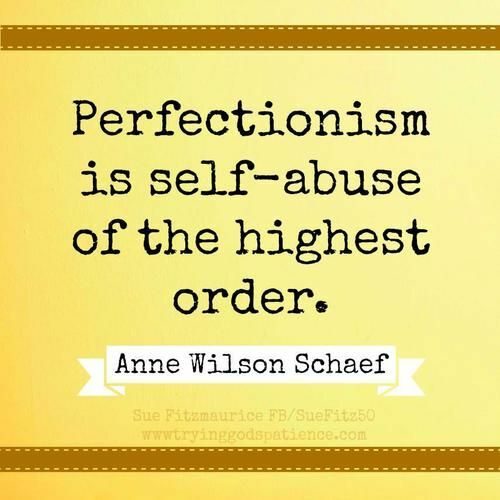 A little more on perfectionism today because it is why I avoided writing the last week or so. The avoidance began after being involved in a discussion about published books and famous authors. The discussion started after a friend discovered a mistake in pronoun use in a New York Times best-selling novel. I mentioned I was surprised such a mistake had made it past the editors at a large reputable publishing house. All were in agreement. The talk then turned to mistakes writers make. Another friend mentioned she is appalled when writers use “comma splices”. Everyone involved in the discussion then began to detail errors they have seen in published books. I stood silent. As the group broke up for the evening, all I could think was: I do not know what a “comma splice” is, oh my God, and I think I’m a writer? I’m not a writer, or I would know what that is. This was also not the first time in more recent history I was having anxiety over my writing. I have Facebook “friends” who are published poets, authors, high school and college level English instructors, spoken word artists, lyricists, Ph. D university professors and creative writing instructors, journalists, and English literature majors. The thought has crossed my mind many times that my writing is not up to their standards, and absolutely I admit it is not. The next day a friend who is in my writing group phoned me. I confessed the anxiety I was having because of what occurred the night before. She started laughing and assured me I probably DID know what a comma splice was, I just did not know it by that term. Thanks my friend, I needed to hear your encouraging words. I took a deep breath; I realized as a reader it is not perfect grammar, punctuation, classic structure, or extensive vocabulary which catches my attention, rather it is authenticity. Granted there are certain standards to be upheld in writing, as in all communication, but I can be forgiving of writers who make some errors if what they have to tell me is authentic. If a piece of writing resonates with me I don’t care if it’s in the form of a cartoon with word bubbles and thought clouds, or a poem with no structure or rhyme. If I can be forgiving of other writers making mistakes, so must I be forgiving of myself. Part of why I named this blog as I did is because I do want to be wanton, both playful and a bit reckless in my writing. 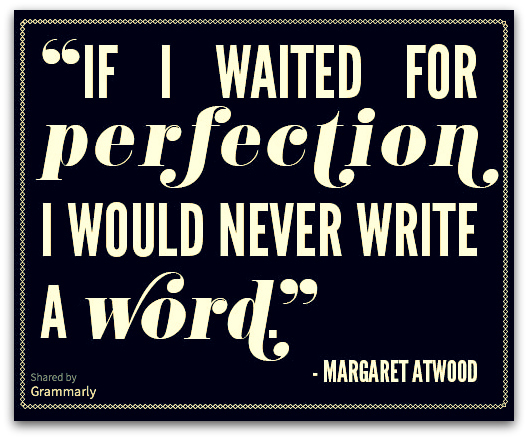 Maybe all along I wanted to send a subliminal message to those seeking perfection in writing – this would not be the place to find it.